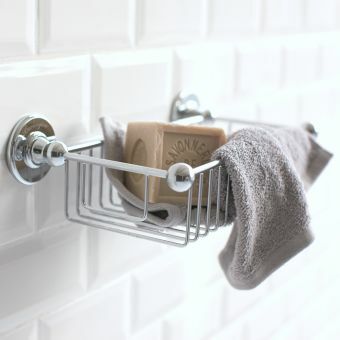 The compelling design of this timeless bathroom accessory makes it a 'must have' option in any modern or traditional bathroom setup. 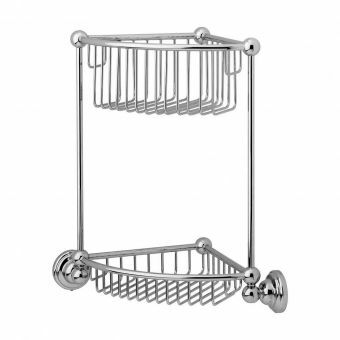 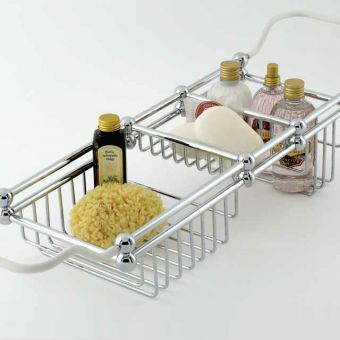 Mimicking the feeling of a bygone era with its elegantly twisted wire forms and neat, unobtrusive dispenser holders, it will perform an essential but discreet function in the bathroom allowing you to dispense and store showering or bathing gels and shampoos in a single, central location. 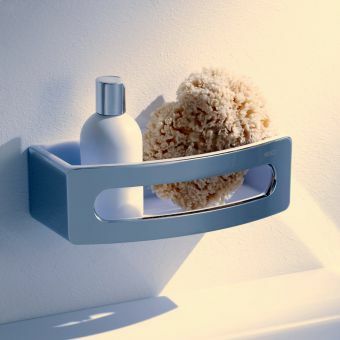 Constructed from solid brass, it has a feeling of weight and strength that is counteracted by the warm white ceramic dispensers that sit happily with the mirror-like chromed basket. 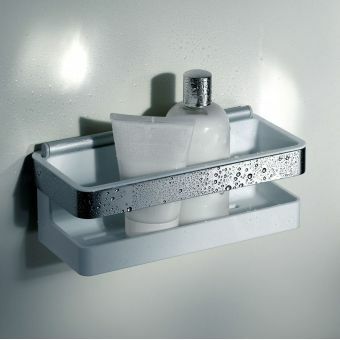 Fixing is straightforward and discreet with hidden fixings so as not to distract from the units elegance. 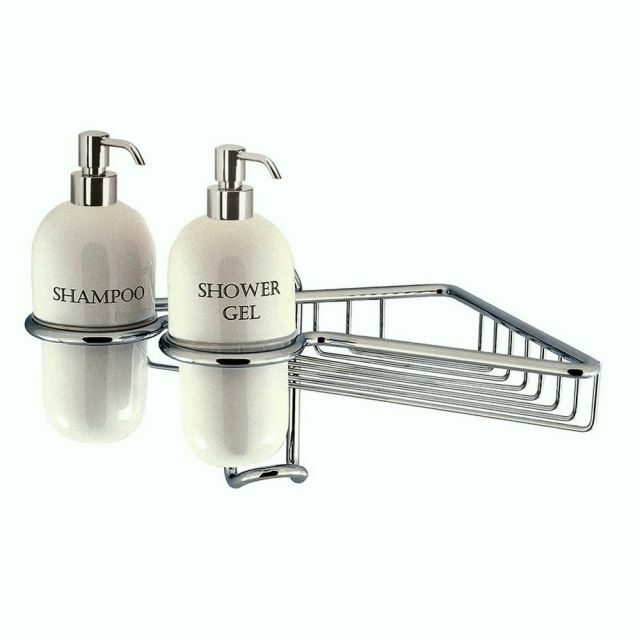 The set is small enough to fit into the most challenging of spaces and will seamlessly integrate with your own bathroom styling.